I frequently recommend the Mediterranean diet to my patients who are at higher risk for heart disease. Many studies have shown that this diet lowers the risk of cancer, cognitive disorders, and heart disease. I also like this diet because it can be easy to follow. This basis of the diet is to consume more fish, olive oil, nuts, beans, whole grains, and fruits and vegetables. At the same time, you reduce your consumption of red meat, sugar, and unhealthy fats like saturated fats, trans-fats, and oils high in Omega-6 fatty acids like corn and soybean oil. Of course, this diet also includes an occasional glass of red wine. Now, there is a new study on the brain benefits of the Mediterranean diet that has me even more excited about it. This study showed that following the Mediterranean diet might prevent against damage to small blood vessels in the brain as shown on MRI. This protection of brain blood vessels may help reduce the risk of stroke and cognitive decline. Increased consumption of olive oil seems to be the component of the Mediterranean diet that is most closely correlated to this protection. More importantly, it was the ratio of the monounsaturated fats in olive oil to the amount of saturated fats found in meat and full fat dairy products. 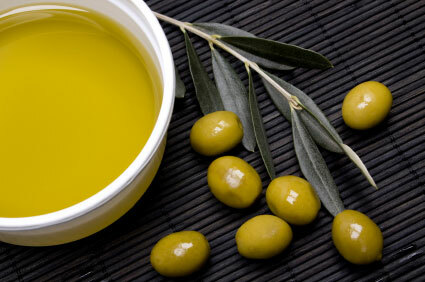 This is why the Mediterranean diet both emphasizes increased consumption of olive oil and reduced intake of meat and other sources of saturated fats. If you would like more information on the Mediterranean diet, check out what the Mayo Clinic has to say about the Mediterranean Diet. This entry was posted in Health and tagged brain blood vessels, cognitive decline, dementia, heart health, Mediterranean diet, memory, monounsaturated fats, sources of saturated fats, stroke. Bookmark the permalink.